Wednesday 31st December 2014 – 10.00pm – Claire Brown. 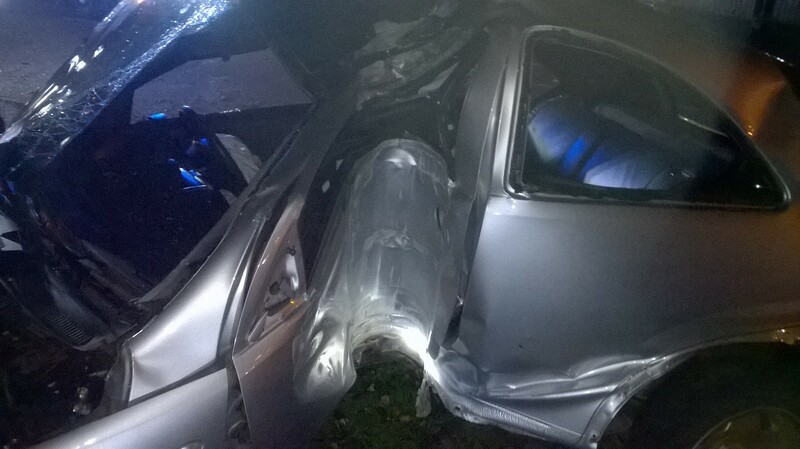 Three men and one woman have escaped serious injuries following a two car road traffic collision in Stoke-on-Trent which left one car on its roof. West Midlands Ambulance Service was called to Alsagers Bank in Stoke-on-Trent at around 7.30pm this evening (Wednesday). Four ambulances, a paramedic area support officer and a BASICS emergency doctor attended the scene. A West Midlands Ambulance Service spokeswoman said: “Ambulance staff arrived to find two cars which had been involved in a significant collision. One car had ended up on its roof. Thankfully all four occupants from the cars had managed to extricate themselves prior to our arrival. “The driver and single occupant from one car, a 19 year old man, sustained head and arm injuries in the collision. He was treated on scene and immobilised with a neck collar and spinal board as a precaution before being taken to Royal Stoke University Hospital. Wednesday 31st December 2014 – 6.25pm – Suzie Wheaton. 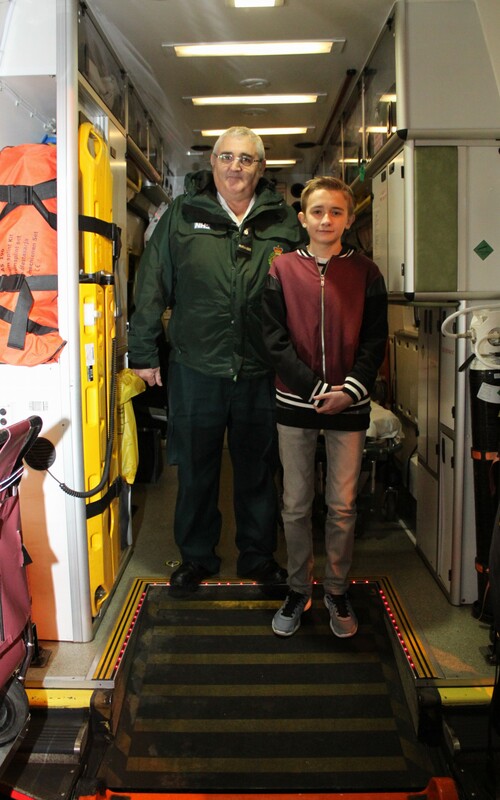 When 13 year old Lewis Pratt arrived at school the last thing he thought he would be doing that day would be leaving by air ambulance. On Monday 12th May 2014, Lewis simply tripped over at his school in Rugeley (Fair Oak Academy) which resulted in a nasty fractured femur. Ambulance crews scrambled to the scene to help Lewis who was in agony. Due to the severe nature of his injury the Midlands Air Ambulance was requested. 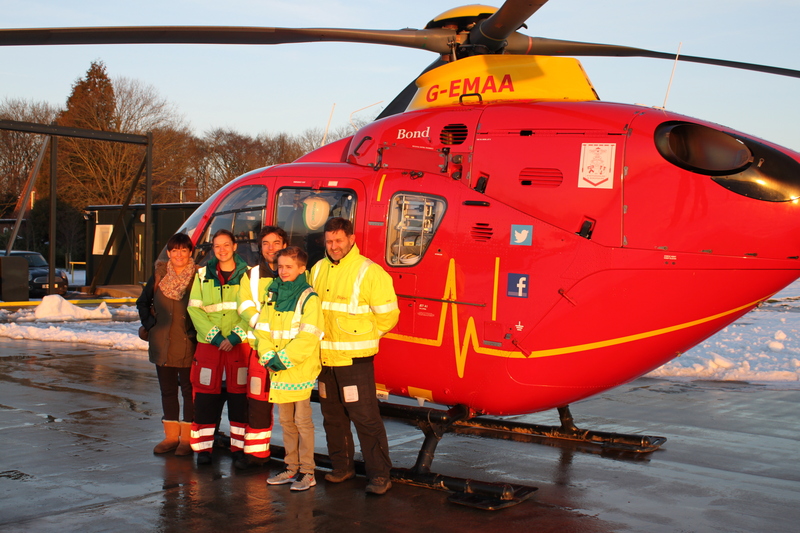 Crew’s on scene gave Lewis advanced pain relief and manipulated his leg back into place before airlifting him the to the major trauma centre at the Royal Stoke University Hospital. Lewis had to undergo orthopaedic surgery, which left him with a plate in his leg to secure his bones in position and resulted in a 12 day hospital stay. Lewis had to undergo extensive physiotherapy and was unable to return back to school until September. 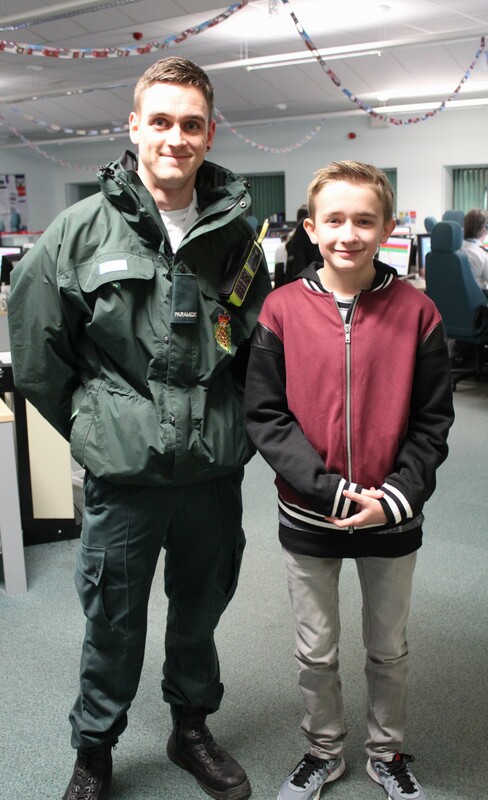 Now fighting fit, Lewis, his mom and best friend Josh Baker visited West Midlands Ambulance Service’s Staffordshire Hub, where he was reunited with those that helped him on the day and received a tour of the Emergency Operations Centre. 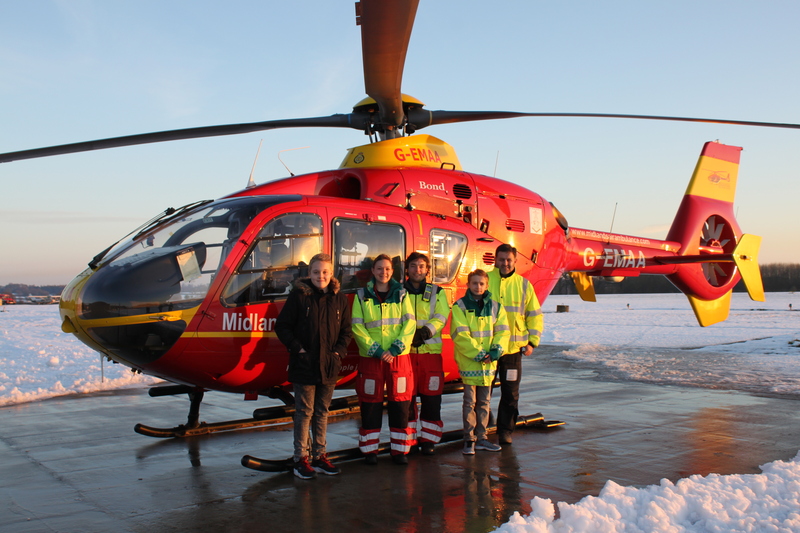 Lewis also got the opportunity to visit the Midlands Air Ambulance based in Tatenhill, Staffordshire, reuniting with the crew and pilot from the air ambulance who also helped him on the day. Whilst there, Lewis got the opportunity to have a look around the helicopter in less traumatic circumstances. All of the ambulance staff were ecstatic to see how well Lewis is now doing and given the serious nature of his injury were pleasantly surprised that he was walking around without any difficultly. Crews that attended to Lewis on the day include paramedic responder, Chris Lynch, Ambulance crew, Pat Griffin and Alan Nixon and Midlands Air ambulance crew Ian Jones and Kat Ellis and pilot Matt Woood. Picture One (L-R) Josh Baker, Kat Ellis, Ian Jones, Lewis Pratt and Pilot, Matt Wood. Picture Two (L-R) Karen Pratt, Kat Ellis, Ian Jones, Lewis Pratt and Matt Wood. Wednesday 31st December 2014 – 5.30pm – Jamie Arrowsmith. 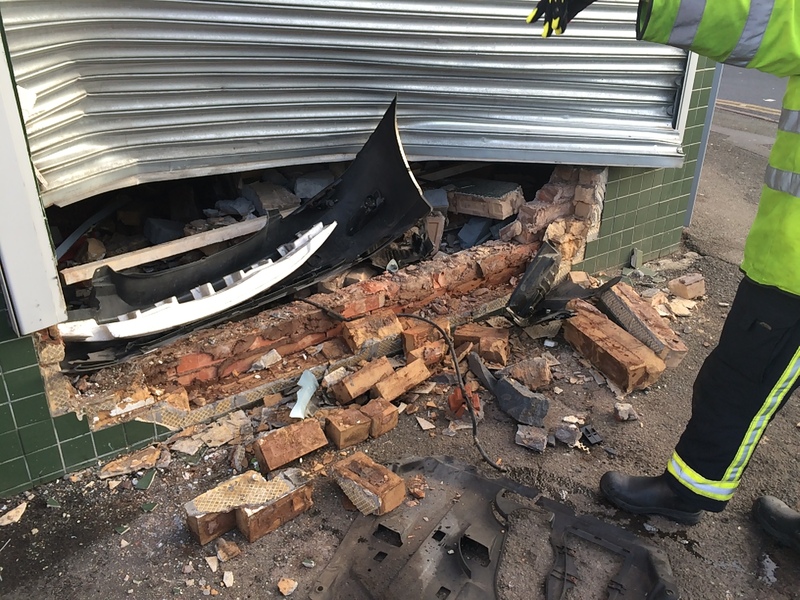 A couple have had an incredibly lucky escape this afternoon when the car they were travelling in left the road and collided with the front of a shop in Coventry. The crash occurred on the junction of Humber Road and Bolingbrooke Road shortly after 1.50pm and West Midlands Ambulance Service sent an ambulance, a community paramedic in a rapid response vehicle and a paramedic area support officer to the scene. A doctor also attended the scene in a rapid response car from the Warwickshire and Northamptonshire Air Ambulance base. A West Midlands Ambulance Service spokesman said: “Crews arrived to find a car that had left the road and collided with a shop, to which it caused considerable damage. 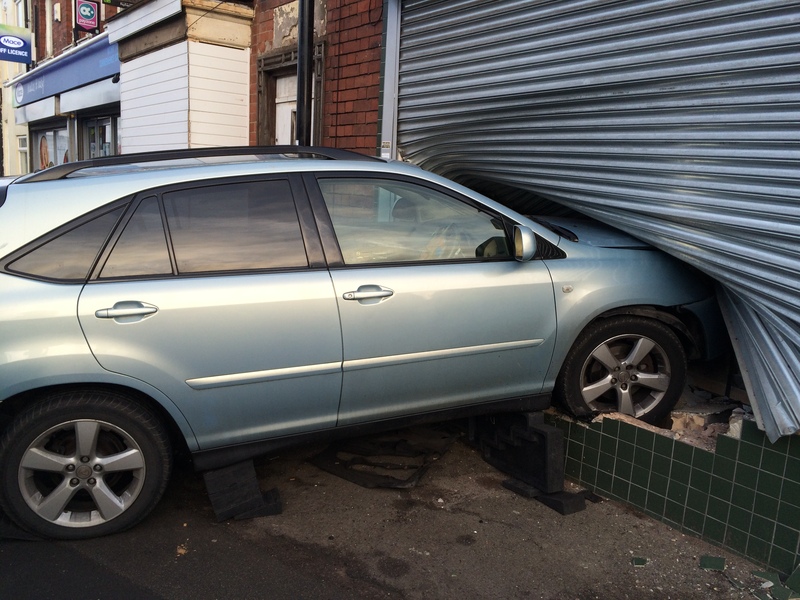 The car had reportedly narrowly missed a number of pedestrians before colliding with the shop. “Two people were assisted from the car with the help of ambulance staff and the fire service but they did not have to be cut free from the vehicle. “The driver, a man thought to be in his 60s, was assessed at scene and taken to University Hospital Coventry and Warwickshire as a precaution. “The passenger, a woman thought to be in her 60s, was assessed and discharged at scene. It is extremely fortunate that neither of the two patients suffered significant injuries in the incident. Tuesday 30th December 2014 – 10.30pm – Murray MacGregor. Five people have been injured after a five car crash on the southbound M5, which left wreckage over 100 metres of the fast lane. The collision happened at about 2.50pm on Tuesday afternoon just before junction 6. Four ambulances, a rapid response vehicle and the Hazardous Area Response Team were sent to the scene. “Thankfully no one was too seriously hurt. A family in one car were all taken to the Alexandra Hospital in Redditch. The father and young son were both immobilised using neck collars and spinal boards. The child’s mother travelled to the same hospital for further assessment. “The woman in the car at the front of the accident scene, who was in her 30s, had suffered a back injury and had to be freed by ambulance staff working with firefighters. She was taken to Worcestershire Royal Hospital. 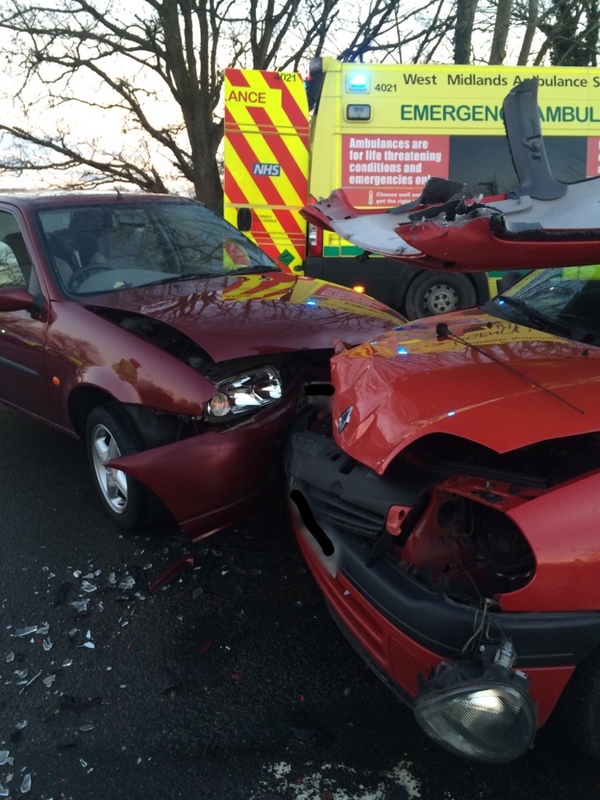 “A man in his 30s from a third car suffered a facial injury and also went to hospital in Worcester. Tuesday 30th December – 4.00pm – Suzie Wheaton. As West Midlands Ambulance Service gears up for Hogmanay, the Trust is asking the public to make it a very happy, but safe New Year. 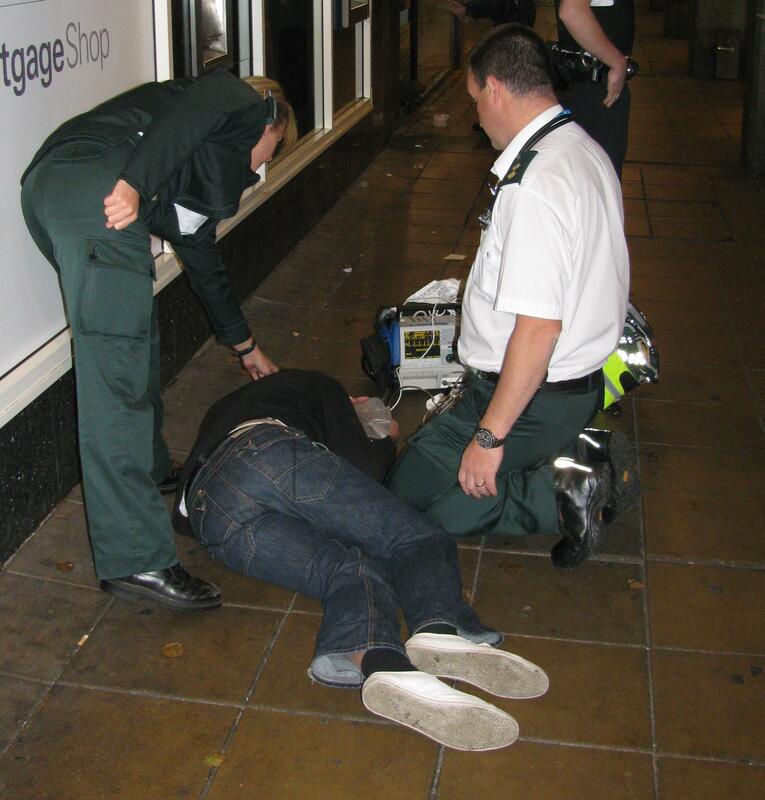 New Year’s Eve is traditionally the busiest night of the year with a large proportion of calls being alcohol-related. But it’s not just people who are too drunk to stand up, are being sick; sadly, overindulgence leads to assaults, falls whilst people have false bravado and road traffic collisions too. Unfortunately, it also leads to our staff having to put up with abusive drunks which sadly sometimes results in them being abused verbally or even physically, which is completely unacceptable. A West Midlands Ambulance Service spokeswoman said: “The last thing we want to do is to spoil people’s fun; we would just ask people to be sensible and take responsibility for themselves and their own actions when they are out celebrating to make sure they have a safe and fun night to remember. Eating isn’t cheating Food helps slow the absorption of alcohol, stopping it going to your head too quickly. Pace your drinks Drink at your own speed and don’t drink too much before you go out – the likelihood is you wont last to the end of the evening. Why not break your alcoholic drinks up with water or soft drinks. Never leave drinks unattended and then return and drink them Never leave drinks unattended or with strangers. There are some unsavoury people around who are more than willing to take advantage of the situation. • Stick together Look after your friends whilst out and where possible make sure friends get home safely – get them to text you when returning home. 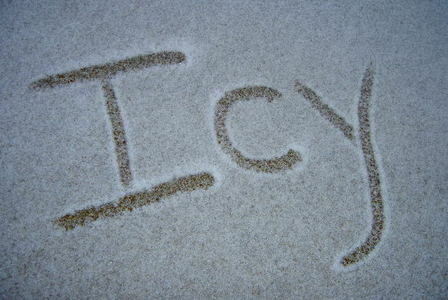 We have seen a number of people that have had too much to drink suffer from hypothermia after falling asleep outside. Going home in a cab? Make sure it’s a license black cab from an official taxi rank or call for a private taxi, you could even organise a cab before you go out for your return journey home. Never get in a taxi you haven’t called for, you aren’t insured and don’t know if the driver or vehicle is safe. Violence related injuries Enjoy your celebrations don’t ruin them by getting into a fight! Hungry at the end of the night? Why not get something from a reputable food outlet – often we see people attempting to cook at home and falling asleep. Fires can spread quickly and the smoke can also kill people very rapidly! As in previous years, the Trust will be using social media to keep you up to date with how the evening is going. Tuesday 30th December 2014 – 2.00pm – John Hawker. A pedestrian has been seriously injured following an incident in Coventry Street, Southam at around 11.25am this morning. A rapid response vehicle, an ambulance, a paramedic officer and the Warwickshire and Northamptonshire Air Ambulance attended the scene. An off duty paramedic was also on scene treating the patient. A West Midlands Ambulance Service spokesman said: “Crews arrived to find a van and a pedestrian that had been in a collision. “The woman, believed to be in her 60’s, suffered multiple serious injuries and received emergency treatment at the scene by medics. “The woman was airlifted to University Hospital Coventry and Warwickshire for further emergency treatment. Monday 29th December 2014 – 6.25pm – Murray MacGregor. A woman has been cut free from the wreckage of a car after a two vehicle crash in Shirley. The crash happened at the junction of Green Lane and Haslucks Green Road at about 3.30pm on Monday afternoon. A rapid response vehicle was on scene five minutes after the call and was backed up by an ambulance shortly afterwards. A West Midlands Ambulance Service spokesman said: “On arrival, ambulance staff found a woman, estimated to be in her 50s, in a red Renault Clio who was complaining of severe neck pain after the collision. “Due to her condition, ambulance staff worked with firefighters to extricate her from the wreckage. “She was immobilised using a neck collar and spinal board before being taken to the Queen Elizabeth Hospital Birmingham for further assessment and treatment. The photos are from one of our staff who tweets about their job. Find out more by following @wmasantfearn on twitter. Monday 29th December 2014 – 11.51am – Murray MacGregor. Just when ambulance staff thought they might get a break from the soaring demand, winter struck with a vengeance. With sharp frosts and snow lying across parts of the region, demand rose sharply. Not only that, the public started accessing health services in increasing numbers after the Christmas break. New figures from West Midlands Ambulance Service show that demand across the three days of the festive weekend (Friday 26th – Sunday 29th) showed a double digit rise over last year, with some areas hit by staggering spikes in demand and the Saturday the sixth busiest day ever. • Friday: demand was up 14.1% – call numbers reached 3,273 compared to 2,869 for the same day in 2013. • Saturday: demand was up 15.4% – 3,551 calls compared to 3,043. Although these figures are extraordinary, it is when you look at the local picture that you see the real story. 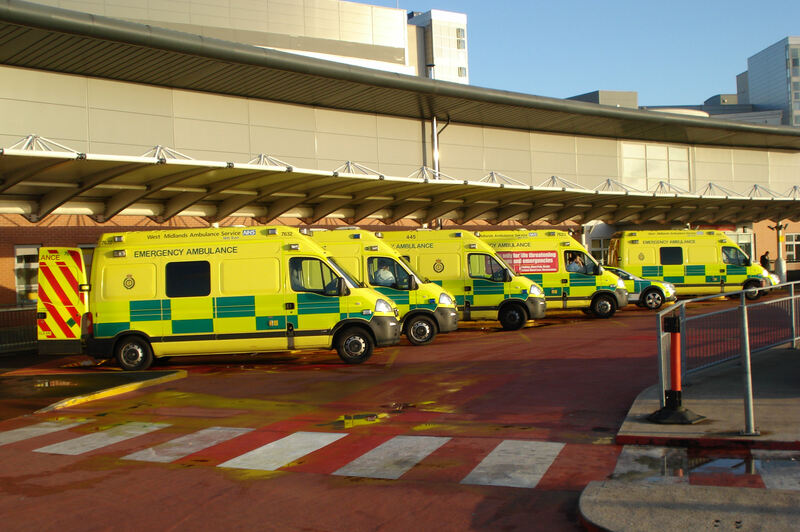 On Friday, the Trust saw demand up 21% in the Black Country and Staffordshire. Saturday say a 34% rise (year on year) in Coventry & Warwickshire, 26% in Herefordshire and 23% in the Black Country. Whilst Sunday was slightly less bad, the Trust still saw demand peaks of almost 19% in Herefordshire and 11% in Staffordshire and Shropshire. With hospitals across the region being similarly hit with very high demand, the Trust is urging everyone to access their healthcare wisely with self care at the forefront. Far too many people are still asking for assistance with colds and flu like symptoms which can be dealt with at home. WMAS Chief Executive, Anthony Marsh, said: “Firstly, I would like to thank my staff and our volunteers for the astonishing effort they have put in, not only over the last few days, but over the last few weeks. No fewer than 10 of the 20 busiest days we have ever had have come in December 2014. “Having been out and about on the road and in our control rooms I know the pressures that the staff have been under and it is a mark of their dedication that they continue to provide such a high quality of care in very difficult circumstances. “I would also pay tribute to the many staff who support our frontline crews such as the mechanics, stores staff, ambulance fleet assistants who prepare the vehicles, hospital liaison staff, non-urgent patient transport, the officers who support these staff and the many others who carry out additional roles. It is a team effort and they should not be forgotten. 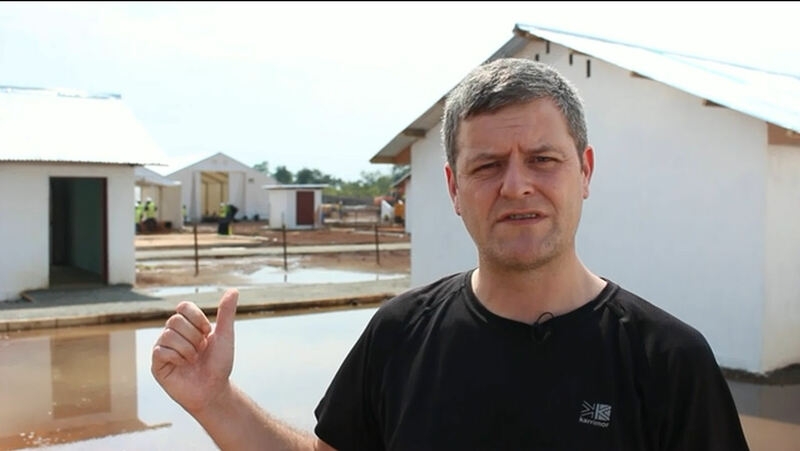 West Midlands Ambulance Service paramedic Ged Kelly is in Sierra Leone as part of Britain’s fight against Ebola. Monday 29th December 2014 – 10.10am – Murray MacGregor. New Year, new job? That’s the question bosses at West Midlands Ambulance Service are posing to the people of the region. With only a week to go until applications close, almost 11,000 people have viewed the current student paramedic vacancies with the Service on NHS Jobs. The Trust is recruiting to a massive 300 positions with start dates ranging from March through to June 2015. The deadline for completed submissions is next Tuesday, 6th January. So far over 330 people have done just that with another 100 having started filling in the on-line form. Recruitment Advisor, Louise Harris, said: “Given most people will have been concentrating on Christmas, it is a fantastic total already, but we’re expecting the next week to be considerably busier. “We obviously want the very best people to take on this life saving role, so it is definitely not too late to get your form in. Candidates are requested to fully complete the application form via NHS Jobs. There are two adverts: one for those who hold a C1 licence; and one for those who have either a provisional licence or have applied for one. Applications can be made until 11.59pm on Tuesday 6th January 2015. Monday 29th December 2014 – 9.45am – Chris Kowalik. Five years ago, one of Hereford’s biggest employers donated a former weighbridge to West Midlands Ambulance Service and converted it into a base for emergency vehicles and crews. 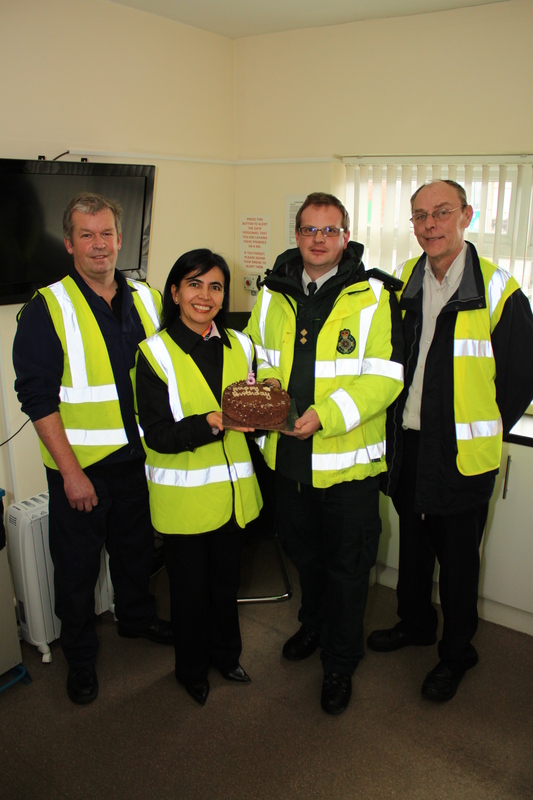 With the support of Cargill Meats Europe, West Midlands Ambulance Service has been using the building in Grandstand Road as a Community Ambulance Station. The fifth anniversary was marked on Tuesday 23rd December at the building with the presentation of a birthday cake. 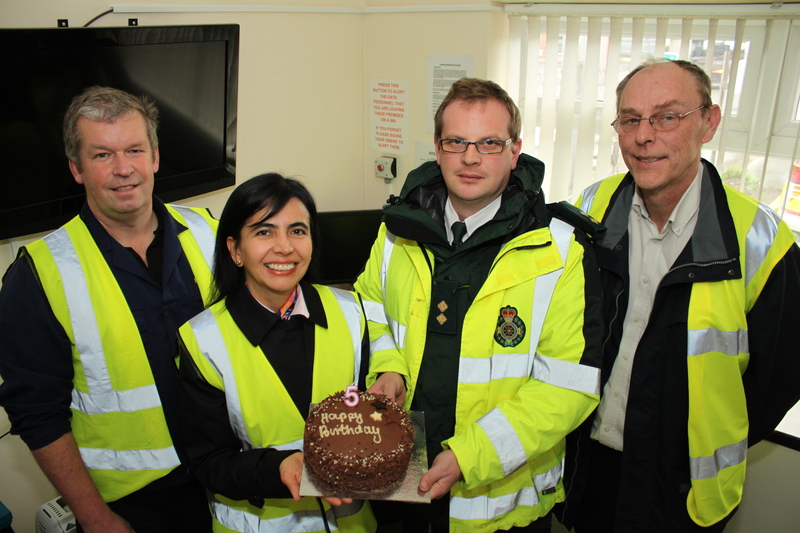 Nigel Matthews (Engineering Team Leader, Cargill Meats Europe), Pilar Cruz (Business Unit Leader, Managing Director, Cargill Meats Europe), Kieran Jennings (Paramedic Area Support Officer, West Midlands Ambulance Service), Bryan Atkinson (Environment, Health and Safety Management Manager, Cargill Meats Europe). Sunday 28th December 2014 – 7pm – Chris Kowalik. Part of a dual carriageway was closed earlier today after a soft-top car overturned. West Midlands Ambulance Service was called to Manor Way in Halesowen shortly after 4.55pm today. A paramedic in a rapid response vehicle and two senior paramedic officers in rapid response vehicles attended along with an ambulance crew. A West Midlands Ambulance Service spokesman said: “The driver of the Mazda, a man in his forties, had managed to get out of the vehicle. “His only visible injury was a five inch laceration to his forehead which was treated at the scene. “As a precaution, in case of there being a more serious head injury, he was taken to Queen Elizabeth Hospital Birmingham for further assessment and treatment. 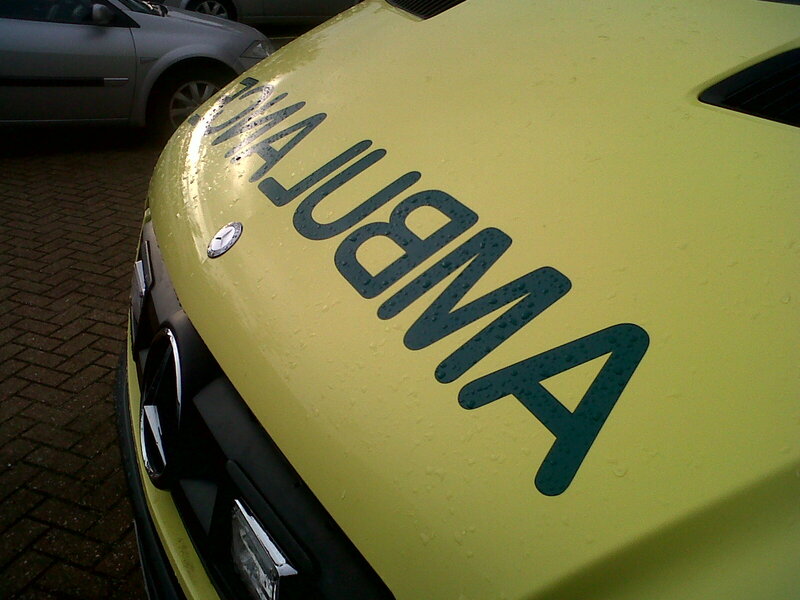 A man has broken a hip and his right arm after falling from a bridge over a railway line in Wolverhampton. West Midlands Ambulance Service was called to Bushbury Lane, Bushbury shortly after 12.25pm today. 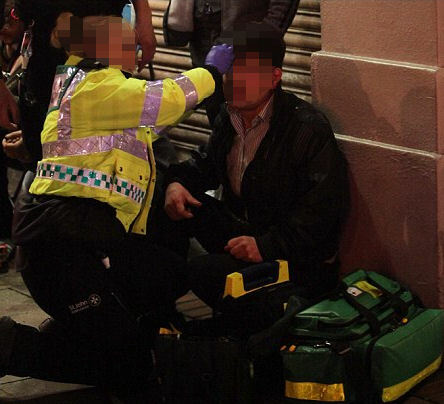 A West Midlands Ambulance Service spokesman said: “The man who is in his twenties, is thought to have fallen approx. five metres onto railway sidings. Icy roads and pavements tonight. Be careful. 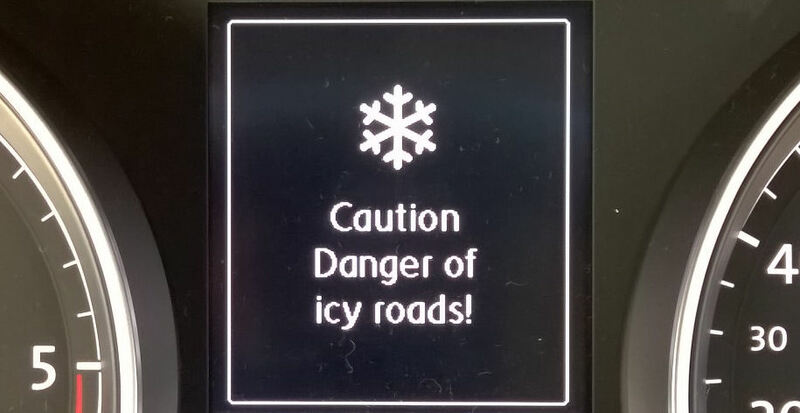 Beware of icy roads and pavements tonight and tomorrow morning. Merry Christmas from @officialwmas Chief Executive, Anthony Marsh. Tuesday 23rd December 2014 – 8.15pm – Suzie Wheaton. Two men have been treated by ambulance crews following a road traffic collision in Warwickshire today. West Midlands Ambulance Service was called to the incident on Campden Road in Shipston on Stour shortly before 6.00pm this evening. Two ambulances, a rapid response vehicle, a paramedic area support officer, two basics doctors and a rapid response vehicle from the Midlands Air Ambulance based in Strensham attended the scene. A West Midlands Ambulance Service spokeswoman said: “Crews were called to initial reports of a car and a lorry had been in collision. “On arrival at the scene crews found a car on a grass verge that had come to rest against a telegraph pole. “The driver, a man, was treated at the scene for a serious head injury, whilst the passenger, also a man, was treated for pelvic and head injuries. 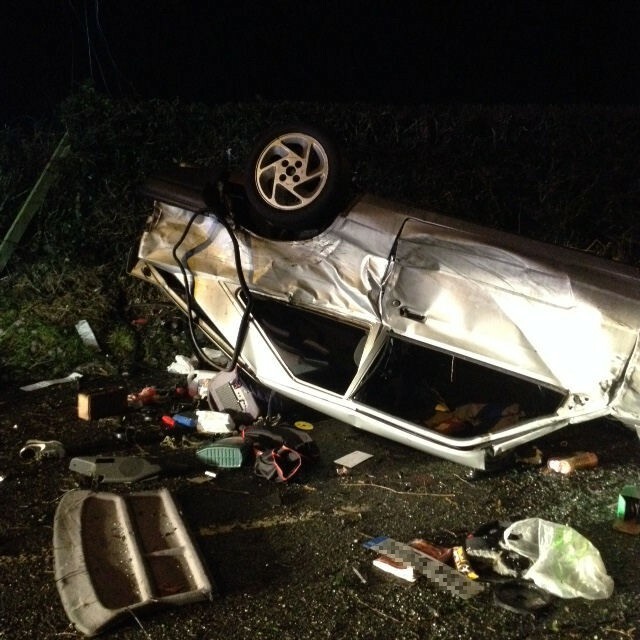 “Emergency services worked closely together to immobilise and extricate both of the occupants from the vehicle safely. Tuesday 23rd December 2014 – 3.50pm – Chris Kowalik. Volunteer lifesavers have been honoured for their work at a ceremony in Redditch. 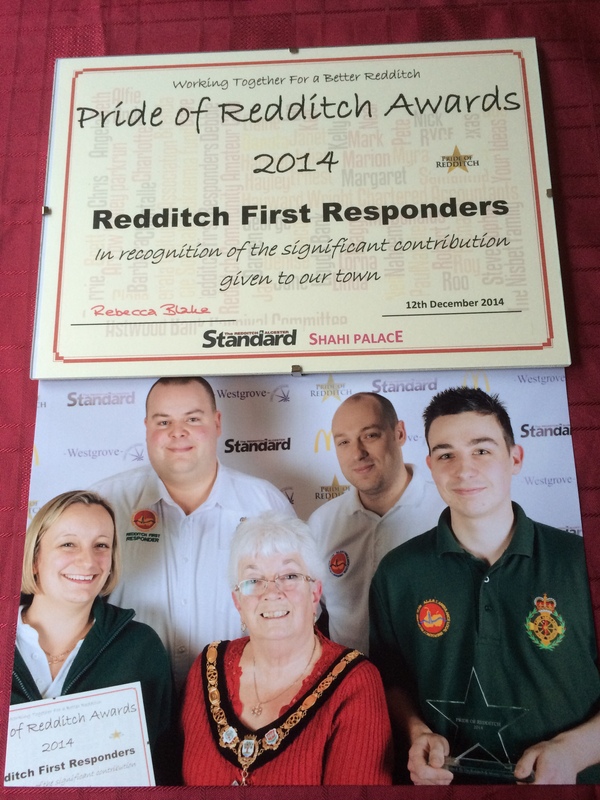 The town’s Community First Responders were among a number of groups and individuals recognised at the Pride of Redditch Awards at South Redditch Club on Friday 12th December. The group were honoured “in recognition of the significant contribution given to our town”. 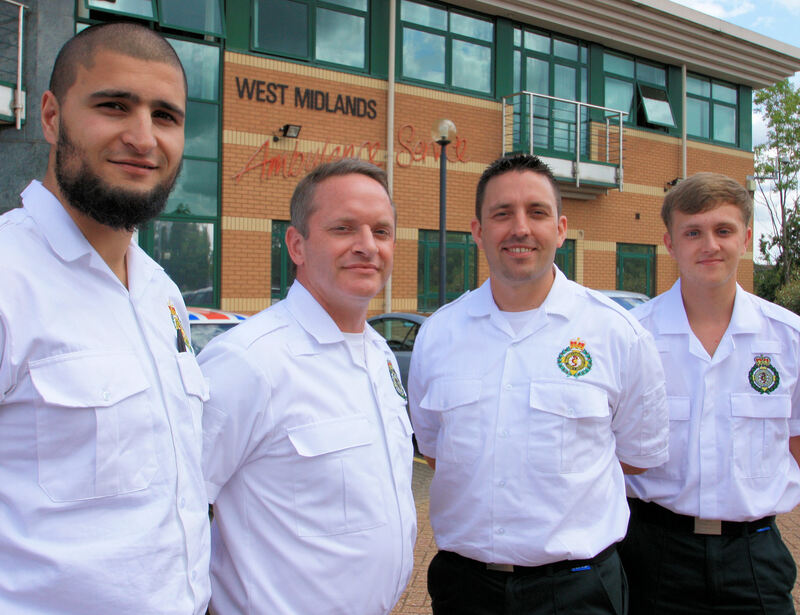 Community First Responders are members of the public who are trained by West Midlands Ambulance Service in basic assessments and lifesaving techniques to a nationally recognised standard. They would then volunteer their time to be called upon by the ambulance service’s control room to attend medical emergencies nearby while a blue-light vehicle is en-route. Pictured left to right: Community First Responders Kelly Tew and Dave Tew, Mayor of Redditch Pat Witherspoon, Community First Responders Stuart Few and Lee Elliott. Tuesday 23rd December 2014 – 11.45am – Murray MacGregor. The number of people who have shown interest in the Trust’s recruitment campaign for 300 student paramedics continues to climb with almost 1,000 additional views of the job description in the last day. As of 11.00am this morning (Tuesday), 8,300 people had looked at the advert with 260 people completing their application form and another 300 forms part completed. The closing date for applications is Tuesday 6th January 2015. Successful applicants will train in cohorts, with the first group due to start in March 2015. 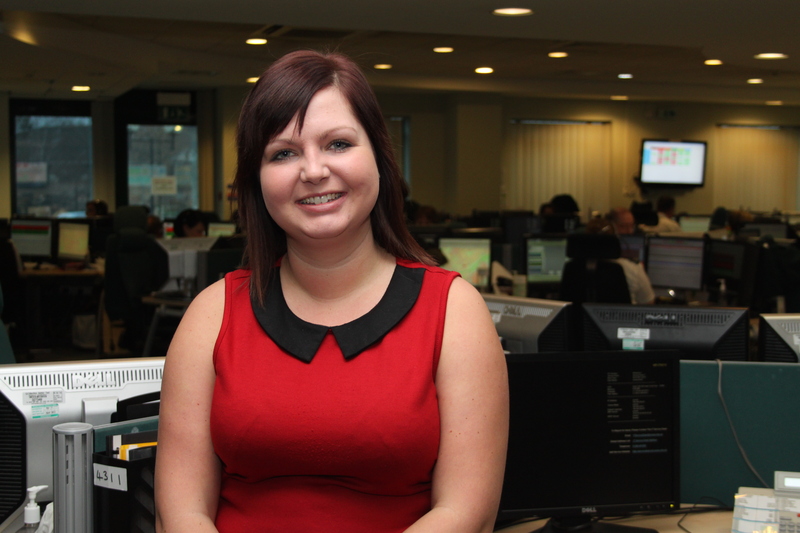 Recruitment Advisor, Louise Harris, said: “We are delighted with the response so far. Obviously we want the best people for the job because it is such an important role; truly lifesaving. Tuesday 23rd December 2014 – 10.45am – Chris Kowalik. A tourist venue in north Shropshire has become the latest location in the county to have a defibrillator. The device, that could restart the heart of someone who suffers a cardiac arrest, is in place at the British Ironwork Centre in Oswestry. 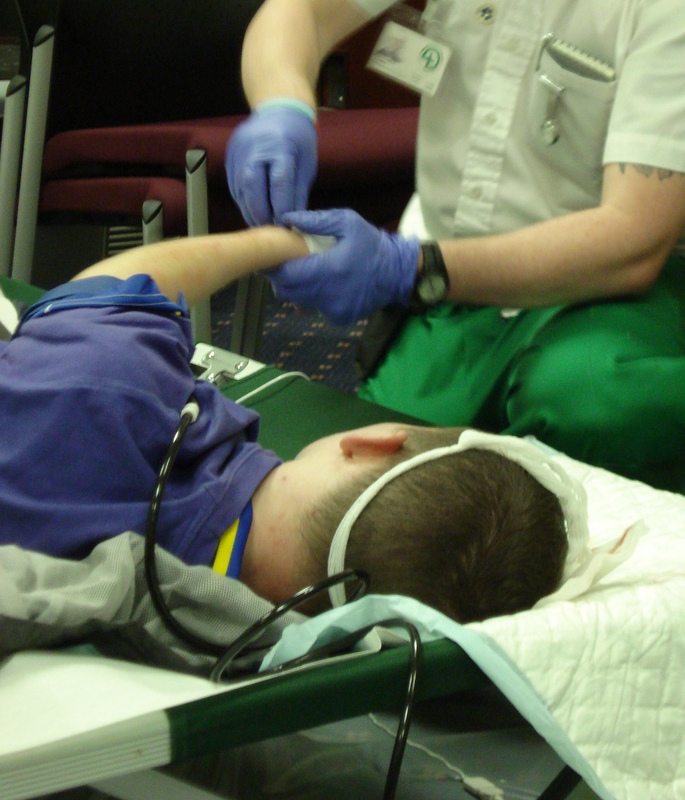 Some staff have already been trained by West Midlands Ambulance Service in its use. Up to forty staff will be trained in the coming months. 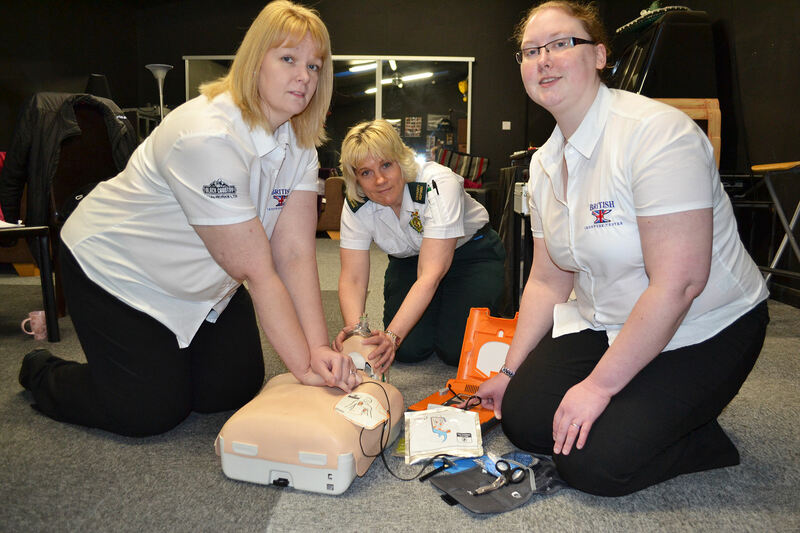 Pictured left to right: Martine Grieve (Office Manager, British Ironwork Centre), Dawn Bush (Community Defibrillation Facilitator, West Midlands Ambulance Service) and Samantha Pitman (British Ironwork Centre). Picture: Black Country Metal Works Ltd., British Ironwork Centre. Monday 22nd December 2014 – 9.01pm – Murray MacGregor. A man has been taken to a major trauma centre after being trapped in the wreckage of a car for about an hour on Monday evening. The second car involved had a small fire in it. Two ambulances, a paramedic officer, the MERIT Trauma doctor and the crew from the Midlands Air Ambulance from Cosford, who responded in a response vehicle, were sent to the scene. A West Midlands Ambulance Service spokesman said: “On arrival, crews found two cars that had suffered massive damage after a collision. “The trapped man was in the first car. The driver, who was estimated to be about 30 years old had suffered multiple fractures to his legs, pelvis, left arm and had a head injury. Working with firefighters, ambulance staff very carefully freed him. “He was assessed at the scene and had splints put in place along with advanced pain relief before being taken on blue lights to the Major Trauma Centre at the Queen Elizabeth Hospital Birmingham. The trauma doctor travelled with the patient. “The driver of the second car had managed to get out of his vehicle. It suffered a small fire but a member of the public used a fire extinguisher to put it out. Monday 22nd December 2014 – 8.47pm – Murray MacGregor. A woman has suffered a potentially life changing head injury after a tragic accident outside a Staffordshire supermarket. The incident happened at about 4.00pm (Monday) on the car park of the Aldi Supermarket just off the A34 in Stone where the woman was in collision with a car. A community first responder was on scene within four minutes of the call and started treatment on the lady, who was in her 50s. A West Midlands Ambulance Service spokesman said: “The CFRs were providing excellent care to the lady when the crew arrived. Together they got her onto the back of the ambulance. “The woman had suffered a potentially very serious head injury. She was taken on blue lights to the Major Trauma Centre at the Royal Stoke University Hospital where medics were on standby for her arrival. Monday 22nd December 2014 – 4.40pm – Chris Kowalik /Steve Parry. 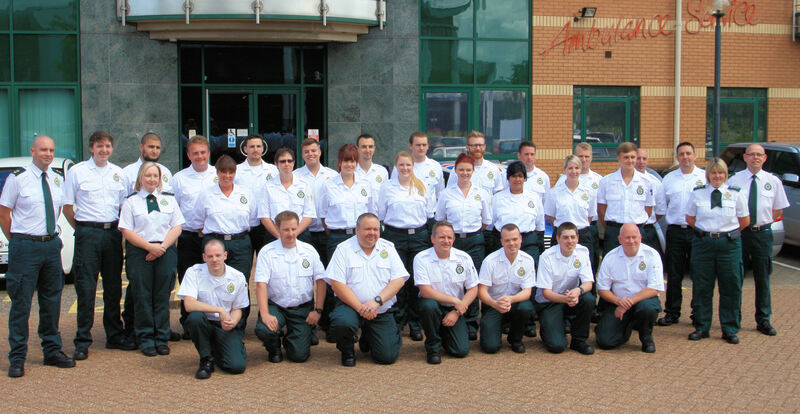 Seventy ambulance paramedic graduates recently received university honours at ceremonies in Worcester and Coventry. It was a chance for family and friends to see their loved ones graduate. It was also an opportunity for West Midlands Ambulance Service to celebrate even more paramedics joining the frontline. 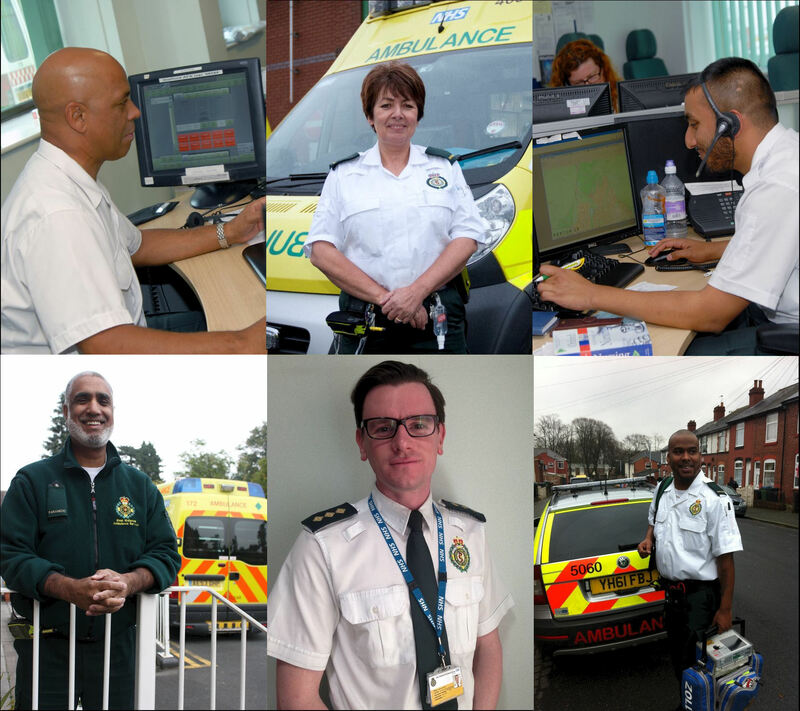 This year has seen the largest ever WMAS recruitment campaign with over 300 new frontline staff joining the service. With an increase in 999 demand recording up to a 10% increase year-on-year, the Trust has been hard at work to increase its frontline staffing numbers through the recruitment of university graduates and the training of existing staff to paramedic levels. 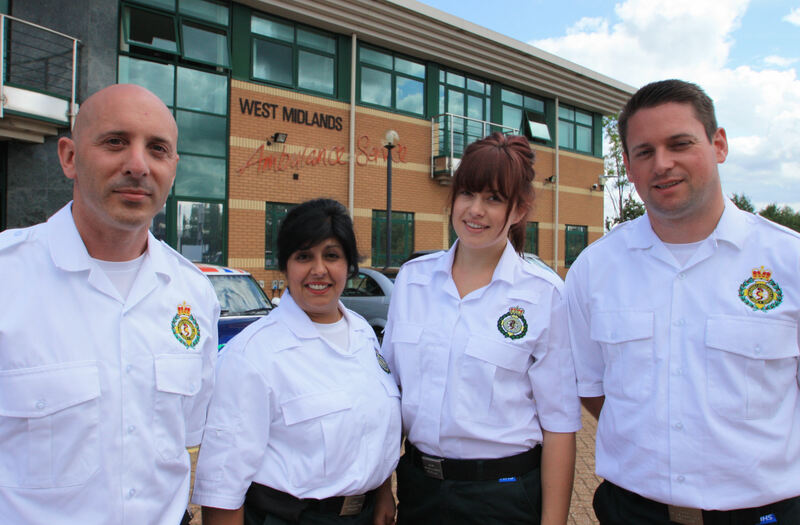 The WMAS recruitment team have been kept busy placing adverts, dealing with almost 12,000 job applications, arranging selection tests and interviews and introducing new recruits to a career in the emergency services. Monday 22nd December 2014 – 2.50pm – Suzie Wheaton. 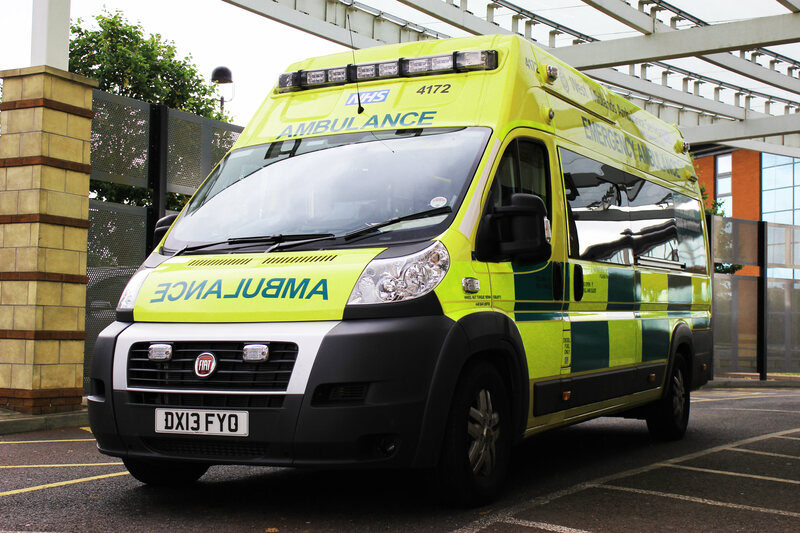 A man has been given an anaesthetic at the scene of an incident after sustaining serious injuries in road traffic collision in Balsall Common this morning. West Midlands Ambulance Service dispatched an ambulance, a paramedic area support officer and the Midlands Air Ambulance from Cosford, carrying a critical care paramedic and a trauma doctor, to the incident at the junction of Brees Lane and Table Oak Lane shortly before 11.15am this morning. A West Midlands Ambulance Service spokeswoman said: “Crews arrived on the scene to find two cars that had been in collision. One of the vehicles had left the carriageway and was found in a field on the other side of a hedge. “The driver of the car found in the field, had sustained serious head and chest injuries. The man, believed to be in his 20’s, was trapped in the vehicle for approximately 30 minutes whilst emergency service crews worked together to safely extricate him from the vehicle. 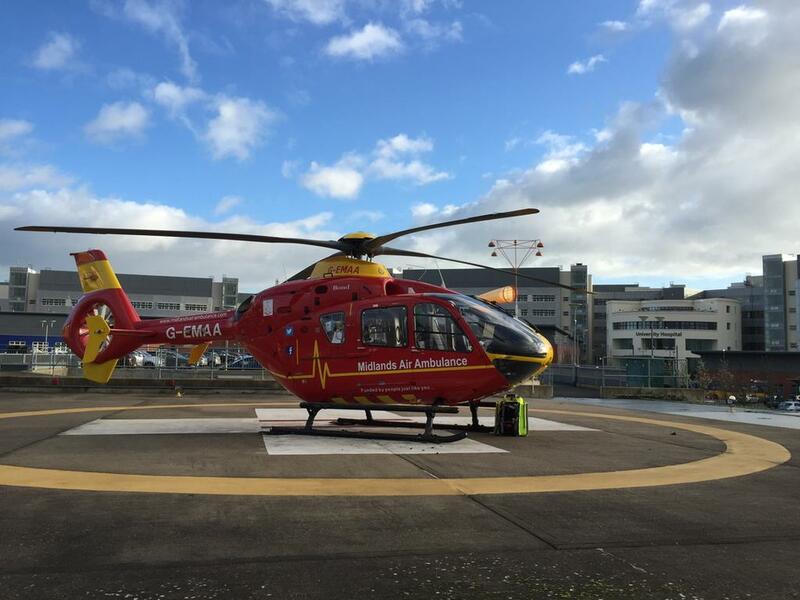 “Due to the nature of the driver’s injuries he was given an anaesthetic at the scene and was fully immobilised before being airlifted to the major trauma centre at Queen Elizabeth Hospital in Birmingham. 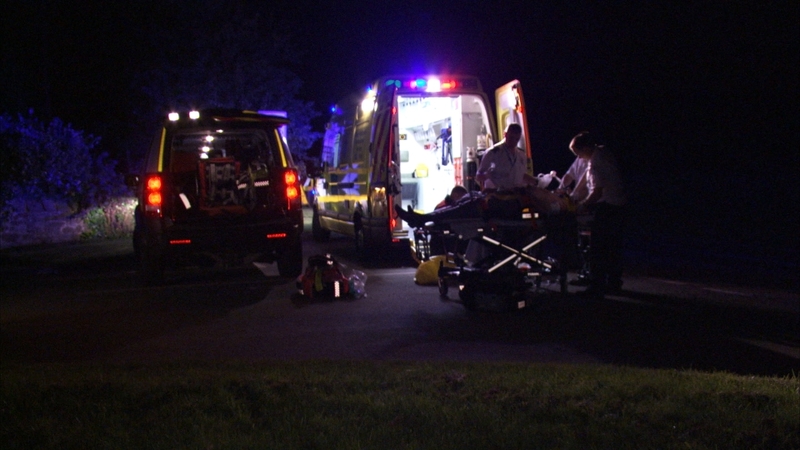 “The hospital was pre-alerted and medics were on standby awaiting the arrival of the casualty. Monday 22nd December 2014 – 1.43pm – Murray MacGregor. Ambulance crews faced almost unprecedented demand in the early hours of Sunday morning with call numbers double what they would normally be. Sunday was the busiest day of the weekend with call numbers reaching 3,385, the 12th busiest day ever, but it was the spikes in demand that were particularly noticeable. Across the week, the Trust received 22,952 emergency 999 calls, a rise of almost 2,500 or 12.2% over the same week in 2013. 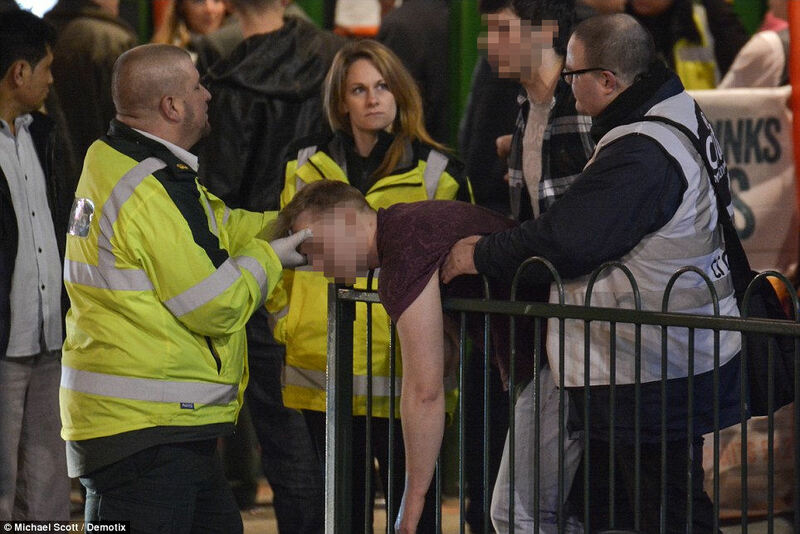 Assistant Chief Ambulance Officer, Steve Wheaton, said: “While the total numbers of calls over the weekend may not have been as high as we feared, there is absolutely no doubt that people went out partying on Friday and Saturday nights. With only two days to go until Christmas, the Trust is also urging people to make final preparations to keep themselves healthy over the Festive period. Don’t forget to pick first aid essentials like plasters and bandages, along with tissues, cold and flu remedies, a thermometer and painkillers. Now is also the time to sort out any repeat prescriptions. Don’t leave it too late to check. We’d also urge everyone to show a bit of community spirit and make sure your elderly relatives and neighbours are prepared too. Breakdown of call numbers for the week just gone comparing 2013 to 2014. Monday 22nd December 2014 – 8.20am – Jamie Arrowsmith. 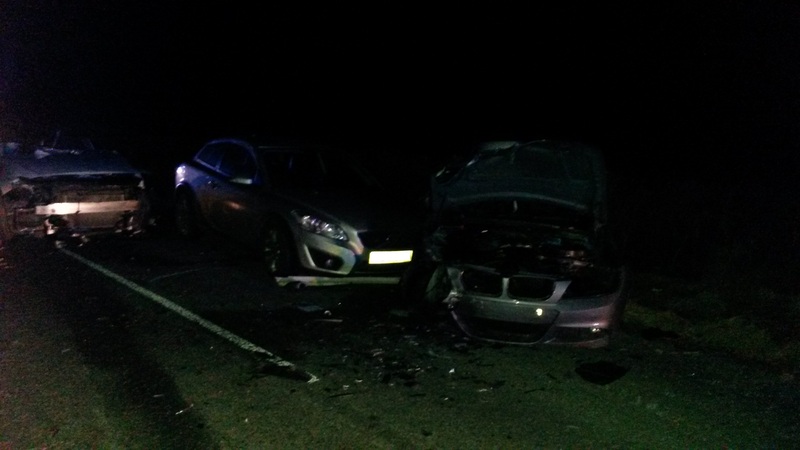 Three people had a lucky escape on the M6 last night following a two-car road traffic collision which left one of the vehicles on its roof. 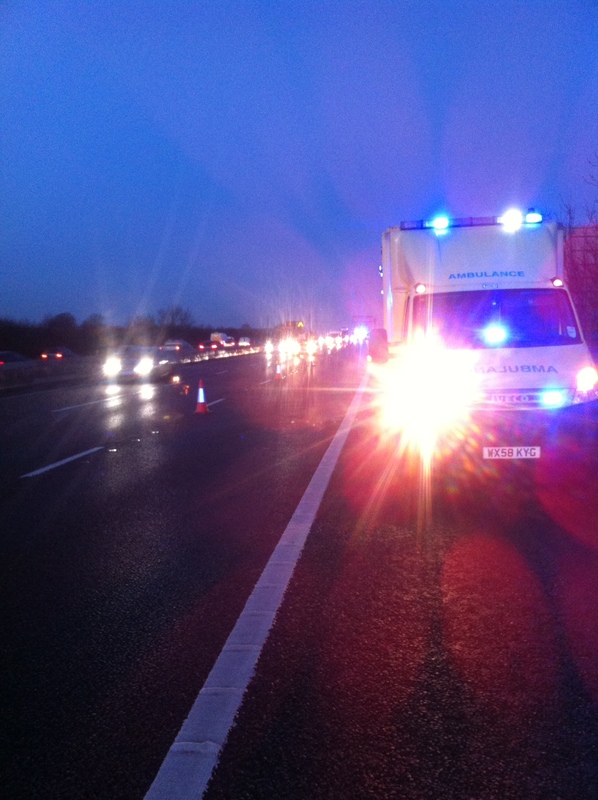 The incident happened on the southbound carriageway between junctions two and one, shortly before 6.55pm. West Midlands Ambulance Service sent three ambulances, a paramedic area support officer, a paramedic in a rapid response vehicle and a MERIT trauma doctor to the scene. A West Midland Ambulance Service spokesman said: “Crews arrived to find two cars that had been in collision, one of which had landed on its roof after reportedly spinning and hitting the barrier that splits the two carriageways. “There were two patients in the car that had overturned, both of whom who had to be carefully freed from the vehicle with the help of the fire service. “The driver of the car, a 22-year-old woman, was treated for chest and pelvic injuries. She was immobilised and given pain relief before being taken to University Hospital Coventry and Warwickshire on alert. “The passenger, a man believed to be 19-years-old, suffered a head injury and was also given pain relief after treatment, before being taken to the same hospital. “The driver of the second car, a man, suffered minor injuries in the incident and was also taken to University Hospital Coventry and Warwickshire as a precaution. Sunday 21st December 2014 – 7.10pm – Jamie Arrowsmith. 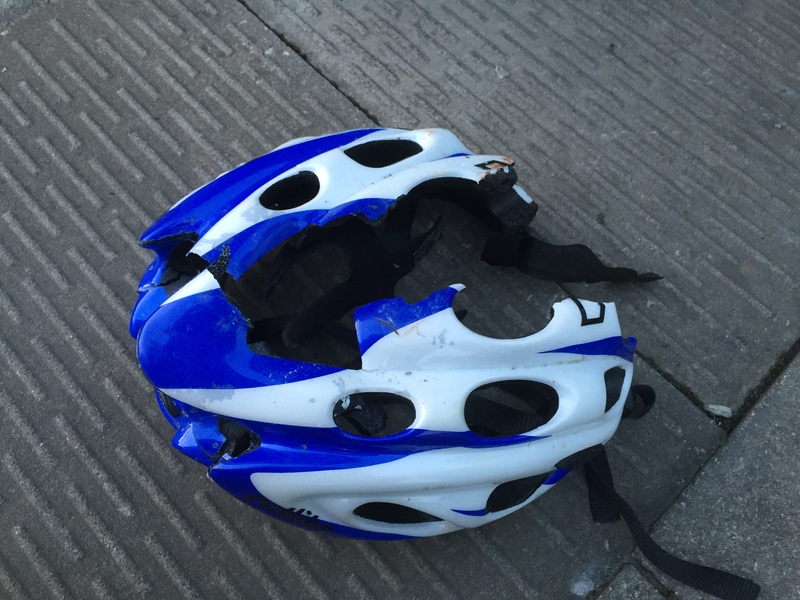 The image is the cycle helmet invovled in the incident. If using the image, please credit it to West Midlands Ambulance Service. Saturday 20th December 2014 – 6.40pm – Jamie Arrowsmith. Specialist equipment was required for ambulance staff to rescue a man from a hillside in Stourbridge this afternoon. West Midlands Ambulance Service was called to a wooded location at Kinver Edge, Kinver, shortly after 2pm. A Community First Responder (CFR) and the Trust’s Hazardous Area Response Team (HART) attended the scene. A West Midlands Ambulance Service spokesman said: “Crews were called to reports of a man, believed to be in his 60s, who had collapsed on a hillside after suffering a medical incident. “It is unknown how long the man had been on the hillside for but the CFR in attendance quickly began assessing the man and started the rewarming process as he was suffering from hypothermia. 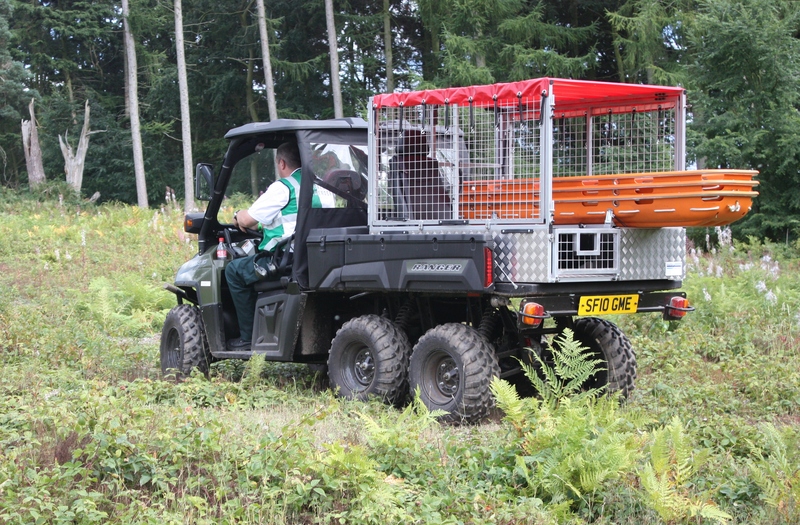 “Due to the man’s difficult location, the HART team decided to utilise their six-wheel drive Polaris vehicle to get near the patient. Friday 19th December 2014 – 11pm – Jamie Arrowsmith. A man has been seriously injured and four other patients have also been taken to hospital following a four-car road traffic collision in Shropshire this afternoon. West Midlands Ambulance Service was called to the A489 near to Bishops Castle shortly after 5.15pm and sent four ambulances, a paramedic area support officer and a MERIT trauma doctor to the scene. The Midlands Air Ambulance from Staffordshire was also used to help transport a patient to hospital. A West Midlands Ambulance Service spokesman said: “Crews arrived to find four cars that had been in collision, some of which had suffered significant damage in the incident. “One of the cars contained a man in his 40s who was trapped in his vehicle as a result of the collision. “The man, who was cut free from the car with the help of the fire service, had suffered head, abdominal and pelvic injuries as well as a fractured arm. 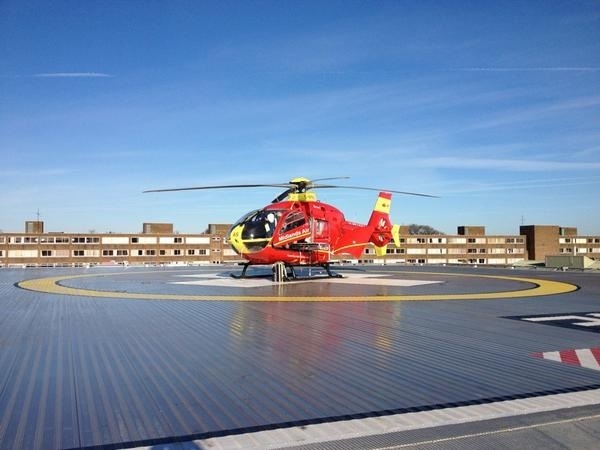 “Due to the serious nature of his condition, the man was anaesthetised and taken by land ambulance to Cosford airbase where the Midlands Air Ambulance from Staffordshire had landed to collect the patient and fly him to Royal Stoke University Hospital. The doctor travelled with the patient to continue treatment en-route. “The remaining four patients came from the three remaining vehicles and had all suffered minor injuries. “A man was treated for a back injury and was immobilised with the use of a neck collar and spinal board as a precaution. 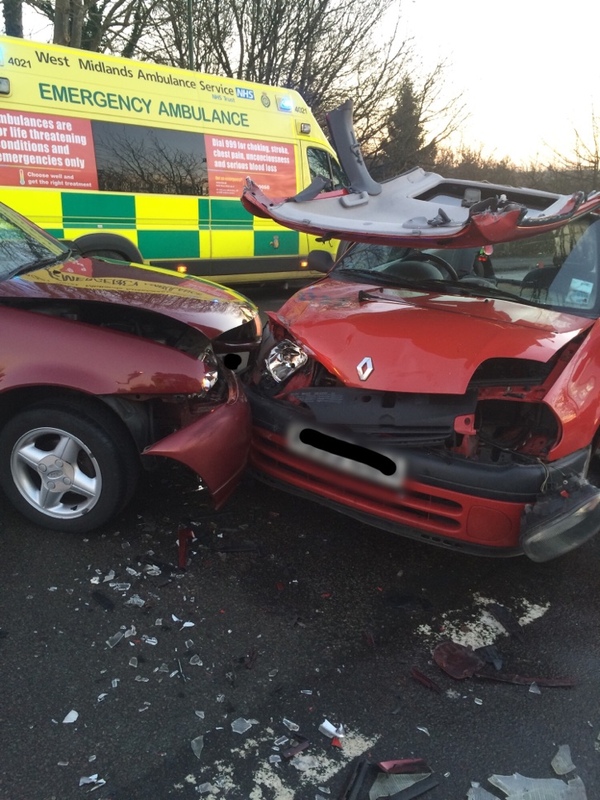 A woman was treated for neck and back pain whilst two further patients were treated for nose and shoulder injuries. Friday 19th December 2014 – 3.45pm – Murray MacGregor. Friday 19th December 2014 – 3.45pm – Chris Kowalik. Would you know what to do if your loved one suddenly suffered a life-threatening condition such as a cardiac arrest or choking? If you don’t, then book a place now on a FREE two-hour course run by Herefordshire Heartstart, a charity supported by West Midlands Ambulance Service. You will learn how to help someone who is unconscious, deal with choking or serious bleeding, recognise the warning signs of a heart attack and perform CPR. They are all simple skills that save lives. To book your place, email herefordshireheartstart@btconnect.com or call 0845 60 60 654 after January 6th 2015. West Midlands Ambulance Service’s Area Manager for Worcestershire, paramedic Dug Holloway has been speaking to BBC Hereford & Worcester’s James Pearson at Worcester’s ambulance hub, where the ambulances are being prepared and re-stocked. Friday 19th December 2014 – 2.30pm – Steve Parry. A pedestrian has been taken to hospital following a road traffic collision in Brownhills this morning. The incident occurred on the High Street at just after 11.20am. An ambulance together with a paramedic in a rapid response vehicle and the Midlands Air Ambulance based at Cosford attended the scene. A West Midlands Ambulance Service spokesman said: “Ambulance crews arrived to find a pedestrian had been in collision with a lorry. “A man believed to be in his eighties was treated for serious multiple leg injuries together with pelvic and head injuries. “The patient was immobilised with the use of a neck collar and placed on a spinal board. He was also anaesthetised before being airlifted to the Queen Elizabeth Hospital for further assessment and treatment. Want the best job in the world? 130 people have applied so far! 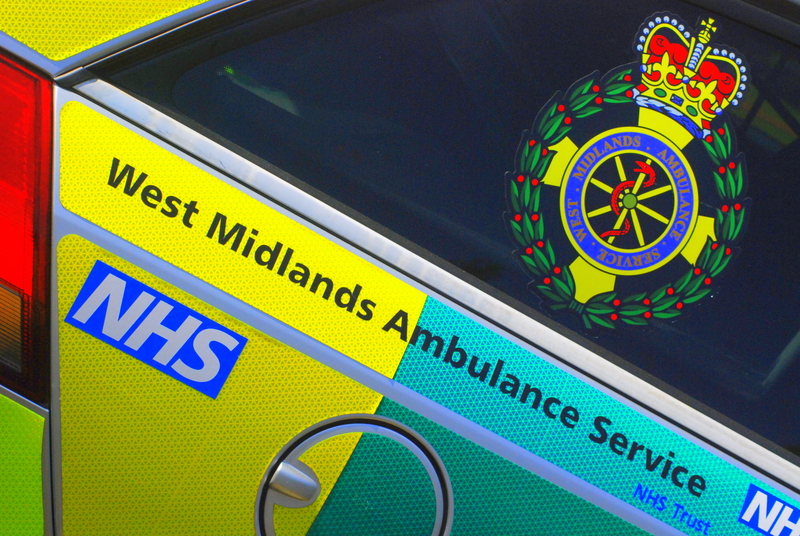 West Midlands Ambulance Service is looking to recruit and train 300 people to become paramedics. Since the advertisement first appeared on Wednesday 17th December, the website has had more than 3,900 views and received 130 applications. Thursday 18th December 2014 – 10pm – Jamie Arrowsmith. A woman has died following a collision with a car in Lichfield this afternoon. 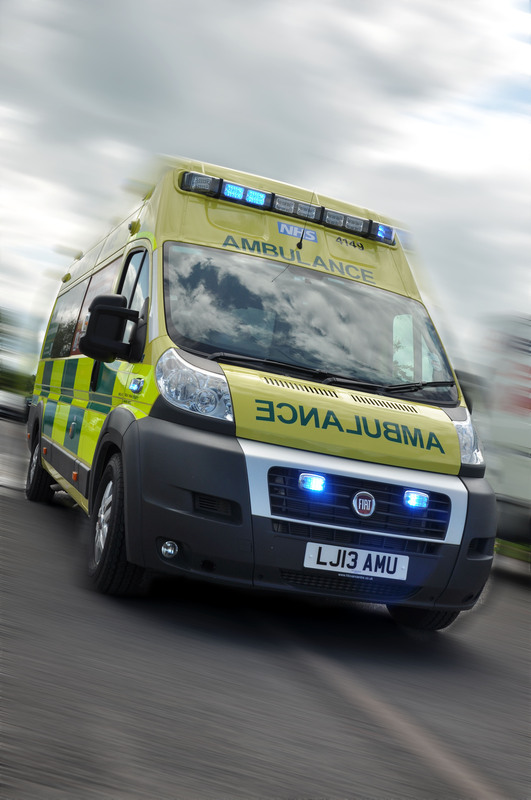 West Midlands Ambulance Service was called to reports of a collision involving a pedestrian and a car on Birmingham Road, Shenstone Wood End shortly before 4.50pm today (Thursday). Two ambulances, a paramedic area support office, a paramedic officer and a MERIT trauma doctor in a response car from the Cosford Air Ambulance base attended the scene. A West Midlands Ambulance Service spokesman said: “Ambulance staff arrived to find an elderly woman who had been involved in a collision with a car. The woman was in traumatic cardiac arrest. They immediately took over resuscitation efforts from bystanders who had stopped to help, working as a team to provide advanced life support. “Unfortunately, it became apparent that nothing could be done to save the woman and she was confirmed dead at the scene. A woman has died after the car she was driving collided with a garden wall in Oswestry this afternoon. West Midlands Ambulance Service was called to a road in Woolston, near Maesbury Marsh shortly before 4.00pm (Thursday). An ambulance was sent to the scene. Thursday 18th December 2014 – 8.30am – Jamie Arrowsmith. 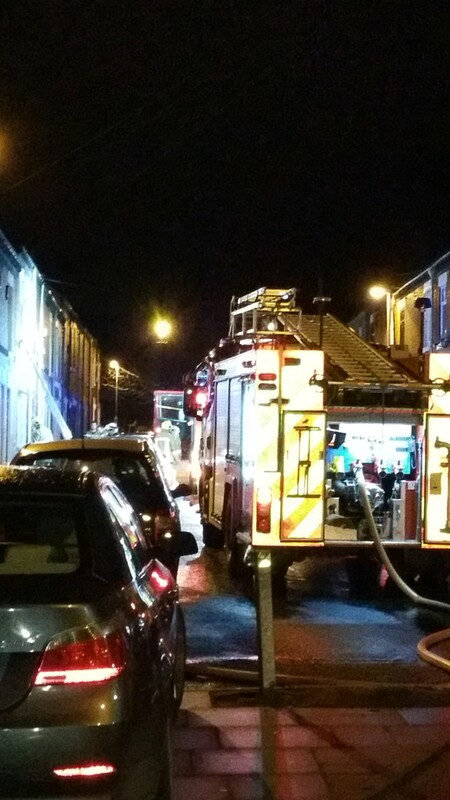 Two people have been rescued from a house fire and treated for smoke inhalation in Stoke on Trent in the early hours of this morning. West Midlands Ambulance Service was called to the fire at a private property in Bond Street, Tunstall, shortly before 4.20am. Two ambulances, a paramedic in a rapid response vehicle, a paramedic area support officer and two BASICS doctors attended the scene. A West Midland Ambulance Service spokesman said: “Crews arrived to find the house well ablaze. Firefighters entered the house and retrieved two people from the property. “A man in his 40s and a woman in her 30s were assessed at scene by ambulance staff, given oxygen and treated for severe smoke inhalation. Thursday 18th December 2014 – 8.25am – Jamie Arrowsmith. A motorist has had an incredibly lucky escape after his car overturned following a collision with a lamppost in Brierley Hill last night (Wednesday). West Midlands Ambulance Service was called to the incident at the junction of Farndale Close and Hillfields Road at 10.05pm and sent an ambulance, a paramedic area support officer and a MERIT trauma doctor to the scene. 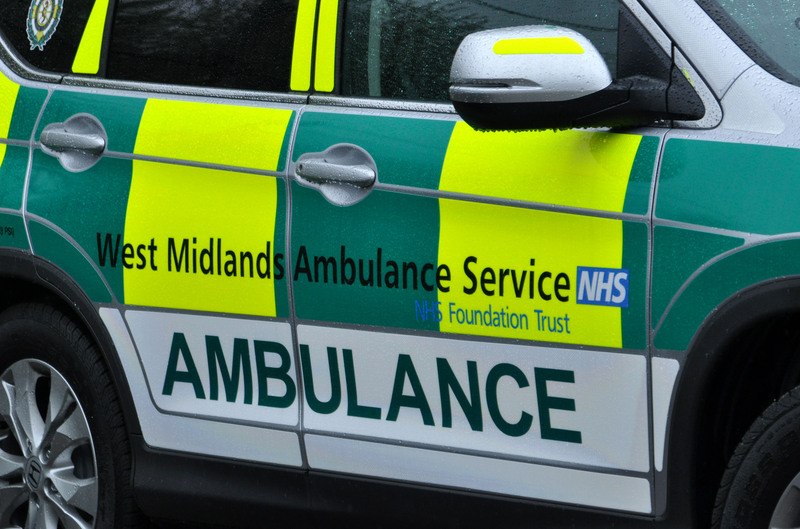 A West Midland Ambulance Service spokesman said: “Crews arrived to find a 17-year-old man sitting at the roadside who had managed to free himself from his vehicle following a significant collision with a lamppost. The vehicle had suffered a large amount of damage, particularly to the passenger side. “Crews were told that the seriousness of the impact caused the car to overturn, coming to rest on the driver’s side. 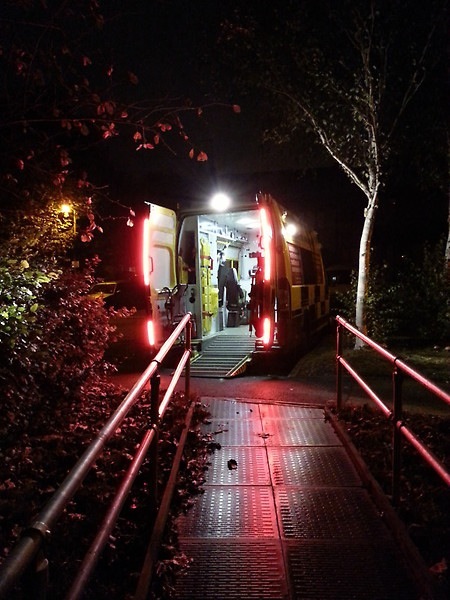 “Following assessment from ambulance staff, the man was treated for a head injury and minor arm injuries. “He was immobilised with the use of a scoop stretcher and neck collar before being taken to Russells Hall Hospital for further assessment and treatment. Will you be one of the 300 people to get ‘the best job in the world’? Wednesday 17th December 2014 – 2.45pm – Murray MacGregor. With the new year only weeks away, what better time than to look forward to getting what is arguably, the best job in the world. For 300 people, West Midlands Ambulance Service is looking to give them the chance to become a paramedic with the service and pay them while they train. The Trust is once again opening up opportunities to train in the life saving role right across the region. The new roles are being created to increase the paramedic workforce of the Trust still further; we already have one of the highest skill mixes in the country. It will also help the Trust to meet the increased demand that we have been experiencing throughout the year. Trust Chief Executive, Anthony Marsh, said: “As a paramedic you will have one of the most amazing careers; saving lives and helping people in their hour of need. “As someone who has worked in the ambulance service for over 25 years, I know just how rewarding the job can be. Recruitment Advisor, Louise Harris added: “All of these positions are for 2015-16 with the first cohort starting their training in March; we expect all 300 new staff to be working on the road by September. There are vacancies in all areas of the region. Candidates must fully complete the application form via NHS Jobs. There are two adverts: one for those who hold a C1 licence; and one for those who have either a provisional licence or have applied for one. Applications can be made between 5.00pm on Wednesday 17th December 2014 and 11.59pm on Tuesday 6th January 2015. Wednesday 17th December 2014 – 2.45pm – Suzie Wheaton. 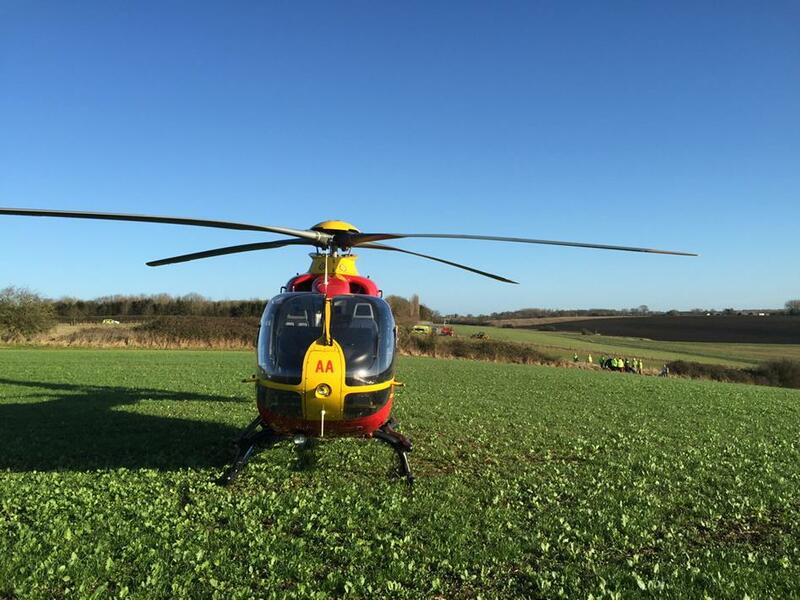 A motorcyclist has been injured following an incident involving a tractor on the A5 in Shropshire today. West Midlands Ambulance Service sent two ambulances, a rapid response vehicle and the Midlands Air Ambulance from Cosford to the incident on the A5, Montford Bridge in Shrewsbury at approximately 11.55am this morning. A West Midlands Ambulance Service spokeswoman said: “Crews arrived on scene to find a motorcyclist and a tractor that had been in collision. The motorcyclist, who had come off his bike, was found on the ground approximately 40 feet away from the tractor.